Ah, the holidays! Endless hours of time wastage! At least that's what mine have been like so far. It's wonderful... Speaking of the holidays, my knitting group had their holiday party a couple of weeks ago. Besides eating way too much, drinking way too much, knitting a ridiculous blanket, and watching the rotisserie channel (yes, this is a real thing), we had a gift exchange! 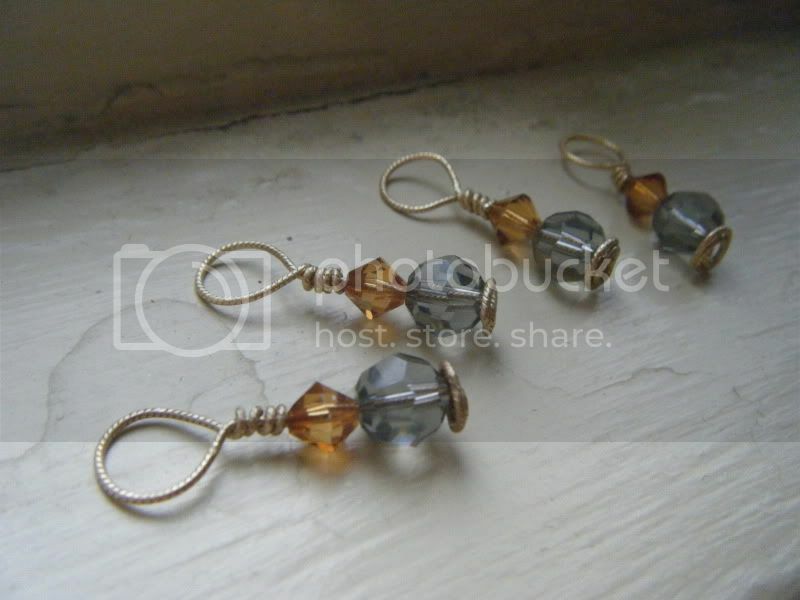 Since I can't bear the thought of facing the mall and going shopping this time of year, I used my crafty skills to make something: stitch markers! I had decided that the necklace I made at the Creativ Festival was really not something I'd ever actually wear, so I took it apart. 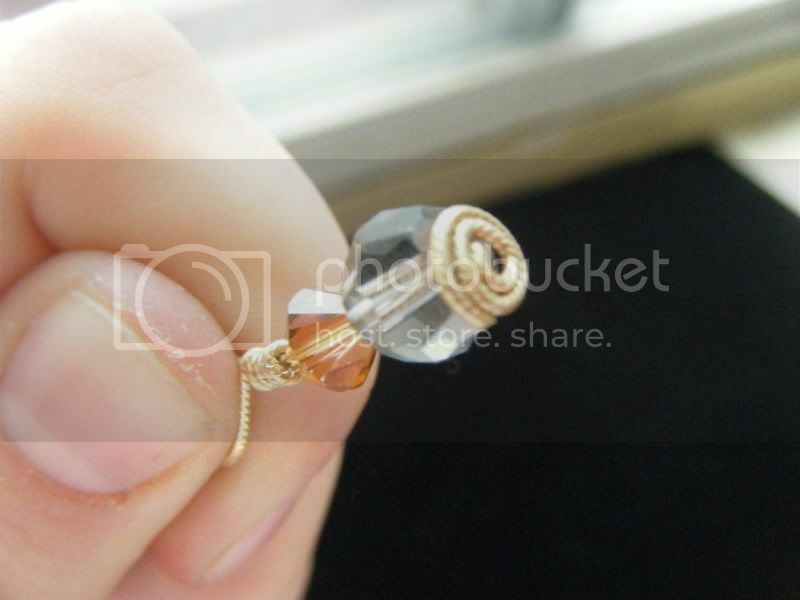 The components are really great, so I used some of the beads (Swarovski crystals!) 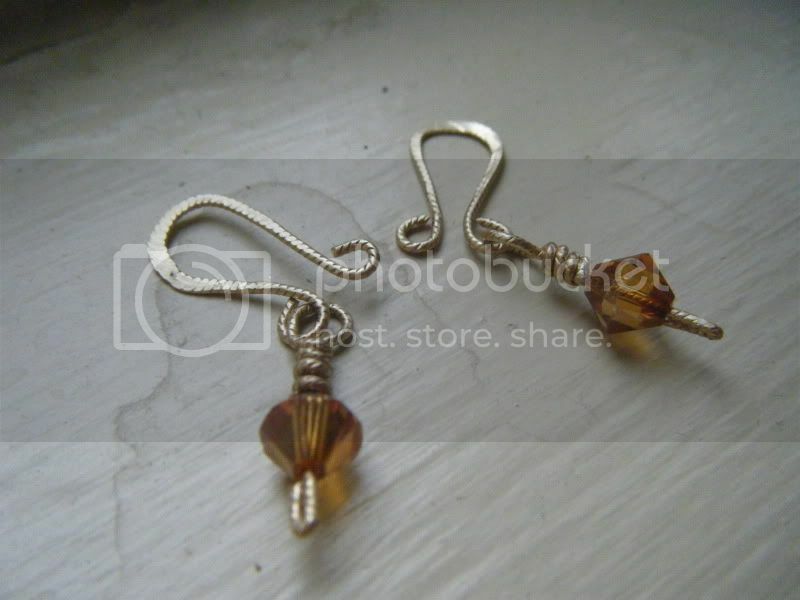 and the leftover wire to make these, essentially just a head pin and a loop to slip onto your knitting needles. I used the instructions from this website to make the spiral head pins, but I'm not sure I'm a huge fan. They don't sit as flat against the bead as I'd like them to. I wasn't entirely sure who'd be receiving these stitch markers, and we do have some crocheters in the group, so I also made the above crochet stitch markers. I think they look kind of like earrings. My friend Alia was the lucky recipient of all these, and apparently she's really enjoying using them. Huzzah!